This is a fun upcycled craft for the kids. 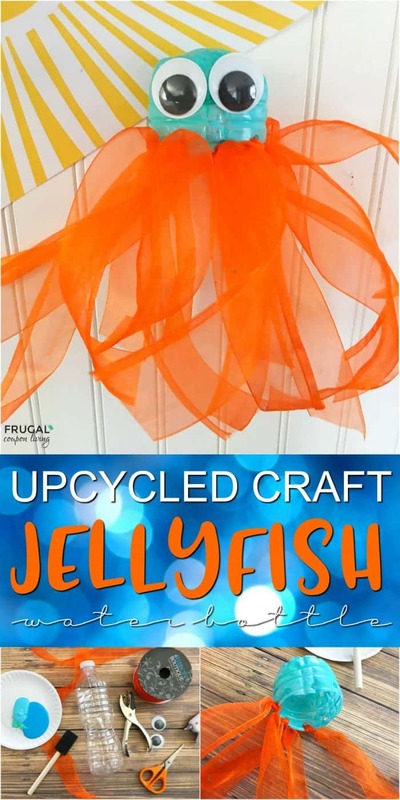 Reuse an old water bottle and cut it down to create this fun jellyfish water bottle. We luckily didn’t have to buy anything because all the supplies were laying around our home. We love the blue and orange contrast but you could have fun create rainbow legs with pinks, yellows, greens, oranges, blues and more. This is a fun idea for Earth Day on March 20th. 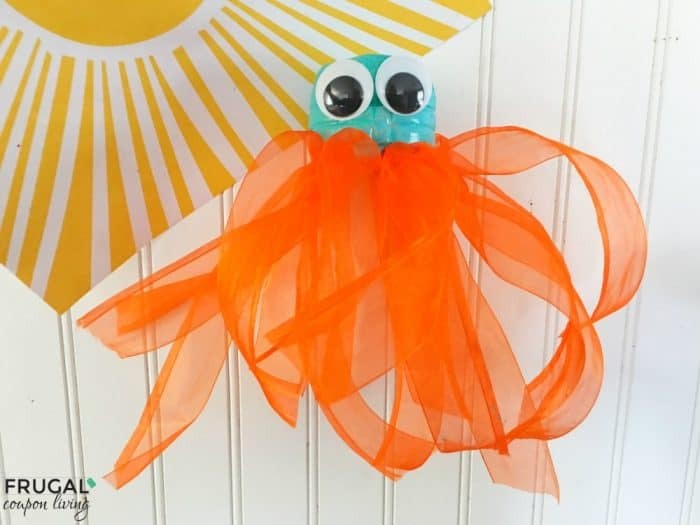 We also think it’s a cute idea to take into the preschool classroom for a summer craft session. Show us how yours turns out. We can’t wait to see! Cut the bottom of your water bottle off, about 3-4″ from the bottom and dry out the inside with a towel. Use a hole puncher to punch holes every 3/4″ across the open end edge. Squirt a small amount of blue and green paints onto a palette of a paper plate, paint the outside of your plastic bottle, and let dry. Cut your ribbon into 12″ pieces, place one piece at a time halfway into a punched hole, and tie into a knot until each hole has a ribbon. Carefully hot glue two googly eyes onto the front of your blue bottle. 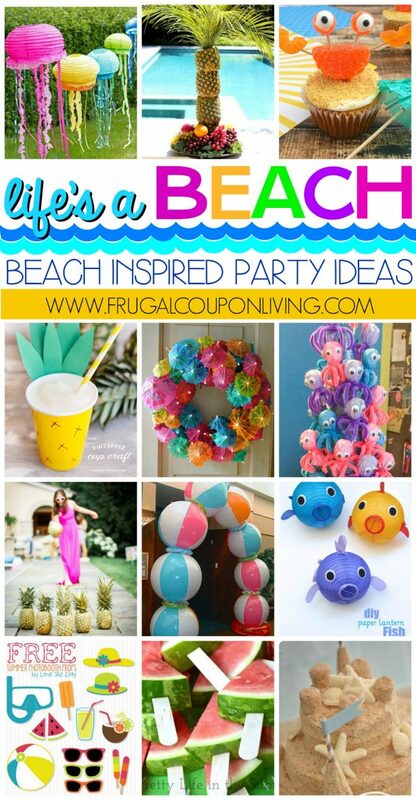 Take a look at these fun Beach Inspired Party Ideas. Pin to Pinterest. Have fun with these Vanilla Pudding Beach Cups. Pin to Pinterest.